Lately there is a great cultural discussion around the stem cells issue, in the recovery after a stroke or a cerebrovascular accident; therefore we must clear up some important aspects. The disability caused by an ischemia or a cerebral hemorrhage is very grave in the majority of the cases, since it carries a muscular paralysis and aphasia. Thus, I clearly understand those who are looking for shortcuts or quick ways to get a better recovery. that search also led to the proliferation of a great variety of therapeutical proposals often considered effective just because of the simple fact of being technological, cases like robotic gloves, mechanical arms, virtual realities, electric and magnetic stimulations and drugs for the spasticity, but the most fascinating mirage is represented by the study of the stem cells. For many years, I have carefully observed the studies and researches about the stem cells and I still believe that they will open many doors for those who have to recover from a cva. Not only due to the possibility of an implant but rather in respect to the researches that will focus on how the stem cells grow roots, migrate and integrate in the neuronal web for the recovery of the lost functions. Because the key issue is precisely: the embeddedness and the integration. Do the neurons rebirth? yes or no? Who knows how many times we have heard it throughout our lives! But fortunately recent research destroyed this belief when it showed that our central nervous system is also provided with plasticity and an attribute defined as “self renewing”. In fact, it looked strange that nature had excluded the possibility of self renewal, attribute that the skin, the cartilage and the bone tissues have, but just the brain or rather the organ that in the course of our lives determines our advantages in the survival if by distraction had forgotten about it. So the brain once and for all is capable of generating new neurons but this information by itself does not allow us to have the correct therapeutical indications, but we also have to understand how this process that has the name of neurogenesis is produced. The neurogenesis is known as the ability of the nervous cells to duplicate. such phenomenon is evident during the development of the fetus. Only in the past 20 years there was light thrown over the neurogenesis process in the adult. 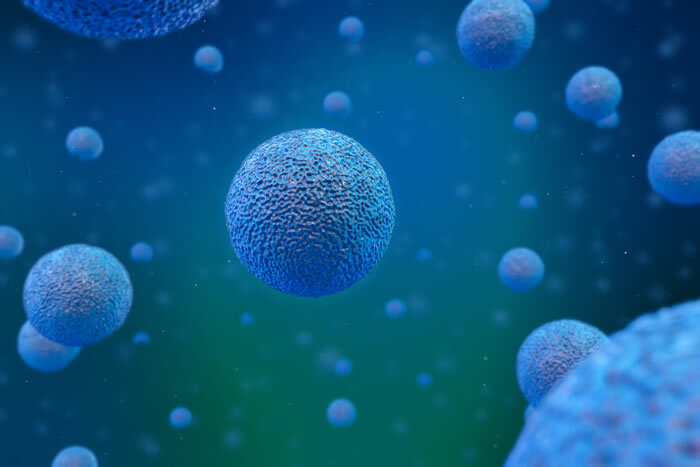 It all begins when the stem cells which have the ability of duplicating in other stem cells with the same reproductive characteristics and in precursor or parent cells that can differentiate and adopt the shape of the necessary nervous cells in a given situation. That is to say that can turn into neurons or cells that support the neural scaffold. It is fascinating to go back over the discoveries of the past 20 years in respect to the stem cells of our brain. At the beginning the presence of stem cells were only located in some circumscribed zones of the brain. That discovery by itself was only of fundamental importance in order to eliminate the dogma “once dead, the neurons do not rebirth”, but as years and research go by, new discoveries show more regions of the brain where neurogenesis is produced thus the proliferation of new neurons. Whoever wants to go deeper on the subject, can find it in the new maklik’s scientific “review” studies on the topic. In the interim, there were numerous therapeutical proposals developed based on the stem cells; many patients went abroad to have stem cells implanted in the brain areas affected by the cerebrovascular accident and in these past years, we have followed the topic “stamina” that has had a controversial not indifferent mediatic impact, where the cells were not implanted in the cerebral tissue but rather introduced in the blood flow with all the limitations that we know. These techniques, probably still immature, without a doubt will enjoy in the future, studies that concurrently are throwing light over how the new neurons can survive and functionally integrate with the cerebral tissue. in fact, the survival of the stem cells and the precursor cells are the heart of the question. Since the new cells; the ones that come from our own brain as well as the ones that are implanted from outside, are very delicate, they die very easily if the ideal conditions for their integration with the other neurons in the neuronal web are not guaranteed. In 1999, gould with a very important study published in the “journal of neuroscience”, demonstrated that in the hippocampus, one of the regions of the brain where the presence of stem cells was detected, the neurogenesis, therefore the process of proliferation and the following survival and integration of the neurons increase when the patient is subjected to an association training or a memory and learning exercise. 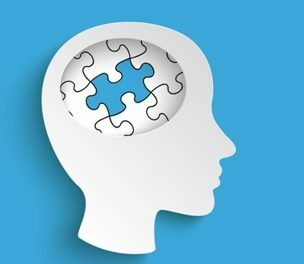 In fact, we knew that the hippocampus performs a key role in the memory and the learning. Thus, those types of exercises, specifically stimulate some of its abilities, and what happens is that the inserted neurons in an excited context to the functioning by specific exercises begin to interchange signals, impulses and proteins with the neurons in the surrounding web, thus determining its official integration in the functional context, the same as when a new employee is incorporated to a new department. If we reflect on the matter, we can be aware that it is an extremely important study. It shows that the stem cells not only already exist in the brain but that they affix in the cerebral tissue and become an integral part only if the affected brain area is adequately stimulated to perform the function to which they were designed. In fact, the stem cells have only two alternatives in their existence: either they survive and integrate or they perish and die. it depends on us, through the rehabilitation to make the proliferation and the embeddedness of new neurons possible. In fact, stem cells or not, the issue remains open as to what type of rehabilitation has to be proposed in order to stimulate different areas of the brain so it can reactivate its functions with the aim of creating an optimal microenvironment for the embeddedness of the neurons, because having a new colony of inserted cells in the injury caused by the cerebrovascular accident and later on not being able to stimulate that specific zone, nullifies all our efforts, expenses and hopes. ● We have discovered that the brain also has plasticity (neurogenesis) that allows the birth of new neurons. ● We have discovered that the inserted stem cells from abroad as well as the ones from our own brain, in order to survive in the areas where they are, need to be stimulated by specific exercises. ● We know that the specific exercises that can stimulate the brain areas have to consider the cerebral functions and the cognitive processes and not only the muscles with simple passive movements, i.e. stretching or walking as training. ● Due to all of this, i think it is fundamental to take advantage of the opportunities that nature gives us in order to use our stem cells to repair the injuries from a cerebrovascular accident through the neurocognitive rehabilitation that takes care of making the exercises for the hemiplegic patient and in this way reactivating the cognitive processes altered by the injury thus stimulating the brain areas that have suffered the injury. later on if an insertion of new cells happen it will be a very common treatment that could be done in our country in a convention system and maybe even in a “day outpatient hospital”, a lot better!. we are prepared but waiting for the day that we can begin to use our stem cells and reactivate our brain with specific exercises of neurocognitive rehabilitation. I also give you another useful resource which is the facebook group, where patients and relatives are admitted in order to exchange experiences and information. 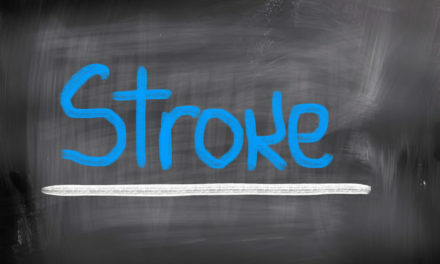 PreviousIS THERE A TIME LIMIT IN WHICH THE DAMAGES OF A STROKE BECOMES IRREVERSIBLE?